The two-time and current WBO welterweight champion, Timothy “Desert Storm” Bradley, faces a big challenge this Saturday as he faces former lightweight champion Brandon “Bam Bam” Rios in a welterweight championship bout which will air on HBO. Bradley and Rios are known for their toughness, grit and being involved in some of the most memorable fights of the past five years. Both fighters have earned a reputation for being must see TV. Tim Bradley, who is usually regarded as one of boxing’s good guys both inside and outside the ring, recently shocked boxing fans and insiders alike when he decided to sever ties with his long-time trainer Joel Diaz. Diaz had worked with Bradley dating all the way back to 2004 and was his trainer when Bradley earned wins against fighters like Manny Pacquiao, Juan Manuel Marquez, Ruslan Provodnikov, Lamont Peterson, and Devon Alexander. Many fans initially thought that Bradley and Diaz parted ways because of Bradley’s recent struggles late in fights where he seems to want to be more of a slugger than a boxer and has caused him to be hurt by multiple opponents recently. 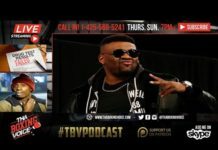 Rumors began to emerge that the real reason for the split was because of a poor relationship between Joel Diaz and Timothy Bradley’s wife and manager Monica Bradley. 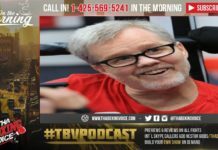 During a recent interview on Thaboxingvoice podcast, Joel hinted at the fact that there were some forces outside of him and Bradley that may have had a bearing on the decision to get rid of Diaz as a trainer. The highly regarded commentator and trainer Teddy Atlas has been chosen to replace Diaz going forward. Atlas, who is known for his tough, no-nonsense style as a trainer, was met with a mixed reaction in the boxing world, but it’s very hard to argue his credibility and experience in the corner. Recently Bradley made comments downgrading his time with Diaz over Atlas, claiming he’s learned more in three days training with Teddy Atlas than he has in the 10 years with Joel Diaz. This statement was viewed as an insult by many because up until this point both sides have been respectful in public even with rumors swirling about why the split happened. Furthermore, it was out of character for Tim Bradley to disrespect anyone in public because of his “nice guy” persona. 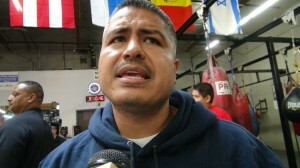 This past week, TBV reporter Fernando Pimentel met with trainer Robert Garcia, trainer of Brandon Rios. 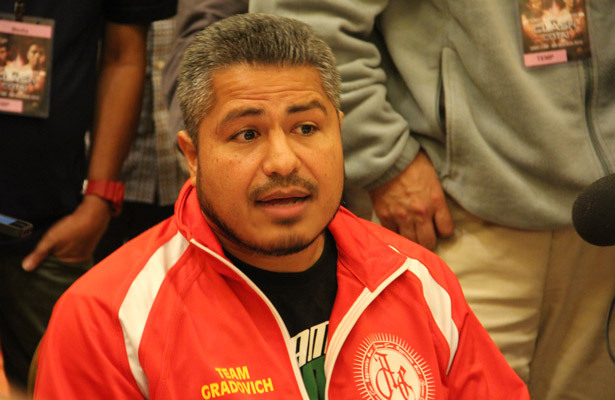 Robert Garcia was asked his opinion on what he thought about Bradley’s statements regarding his time with Joel Diaz. Garcia called the statement “disrespectful”, going on to say, “they made millions and millions of dollars together and won like five titles together.” Garcia went on to say, “Bradley comes from a good background, he has good parents, he should show Diaz more respect for what he brought to Bradley’s career.” Needless to say, Robert Garcia was not amused by Bradley’s statements and his reaction should lend some fuel to the fire in this weekend’s fight between Bradley and Rios. Fighters and trainers have always had differences and sometimes those differences cause them to go separate ways. This is even true for father-son teams in boxing. It can be chalked up to various reasons but it is definitely a part of boxing and I’m sure that won’t change anytime soon. It will surely be interesting to see how both parties perform going forward separate from one another. Do you think Bradley was out of line? 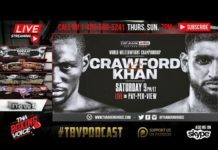 Tune into Thaboxingvoice’s podcast at 7pmET on Thursday and Sunday to voice your opinion.